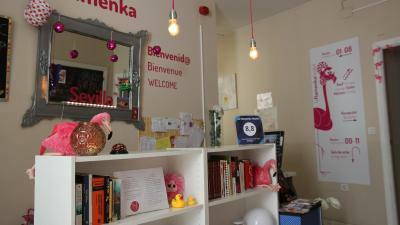 Lock in a great price for La Flamenka Hostel – rated 8.6 by recent guests! The areas to hang out in (indoors, on the roof) were nice to have. The roof terrace is really cute and quite large, you can see the cathedral from it. Staff was absolutely lovely and welcoming, the room was clean and I felt very safe. 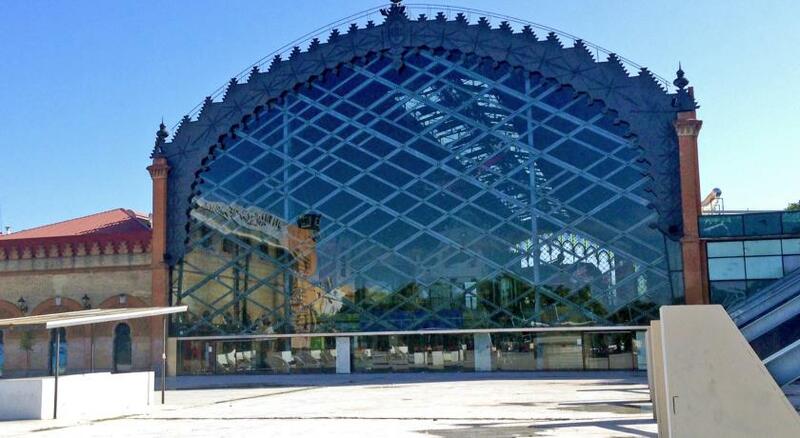 Wicked location if you have to catch an early bus out of Seville or get to the airport! Really enjoyed our stay at La Flamanka. 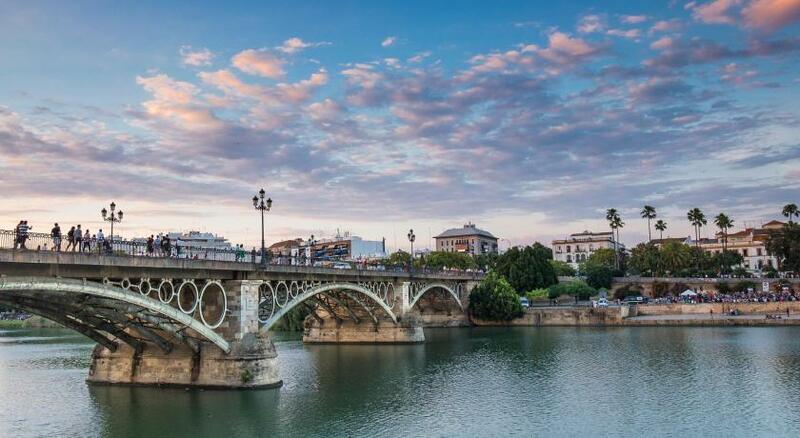 The staff was amazingly friendly and had great suggestions for what to do in Seville. They're clearly passionate about what they do and it shows. The space is lovely and has a lot of character. Great rooftop patio and really nice bedrooms. The location was excellent as well, walking distance from everything. 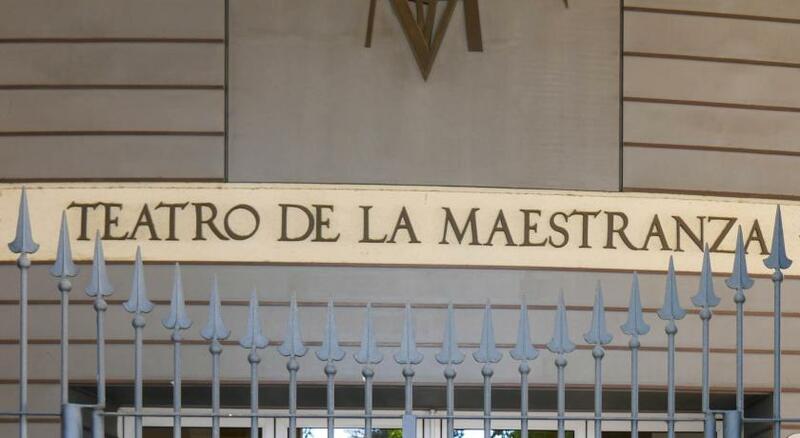 I'd highly recommend this place if you're planning a stop in Seville. Beautiful and such a good smell inside the Hostel. The location is great. The hostel itself was very nice with plenty of places to chill out and a great bar on the rooftop terrace. I loved my stay at La Flamenka. The staff is very friendly and helpful. They suggested places to visit and helped with anything that we needed. The hostel has a free walking tour everyday which was great for me and my friends. Quiet, our room had A/C, everywhere was extremely clean, nice shared bathrooms. Staff were fantastic, absolutely wonderful. There was a rooftop area with a bar and very cheap beer. There was a new modern washing machine. Great kitchen. They provide us a small linen bucket for our shower amenities. And even you are checked out, you can still use the facilities. This may be good for yong students or singles but I don’t feel it is good for couples. 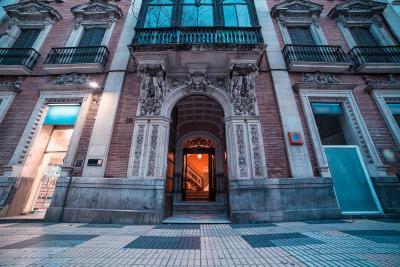 Located in the center of Sevilla, this colorful hostel features free WiFi, a shared lounge with TV and sun terrace with city views. The hostel is within 500 feet from various shops, bars and restaurants. The hostel also has air conditioning and heating. Guests can make use of the kitchen equipped with a microwave, coffee machine and kitchenware. The bright dormitories are decorated in white tones and have colored details. Each dormitory has a large shared bathroom with showers. Bed linen are included, and towels are available for a surcharge. La Flamenka terrace, open during the weekends, offers concerts and meals. 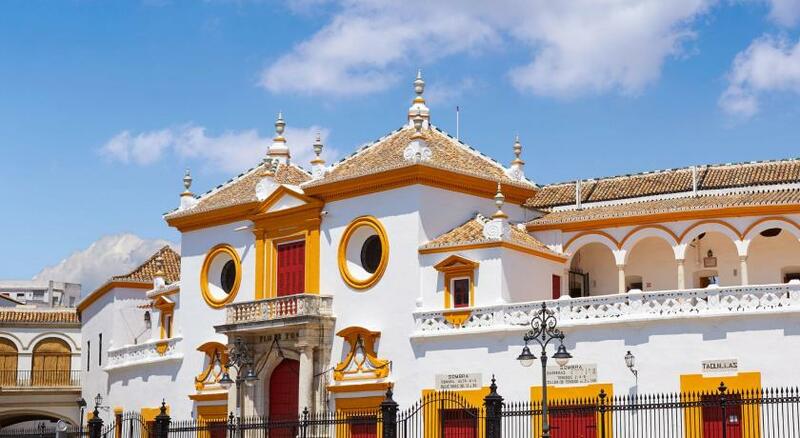 Los Reales Alcazeres and Sevilla Cathedral are within 7 minutes' walk away. Doñana National Park is 22 mi away from the hostel. 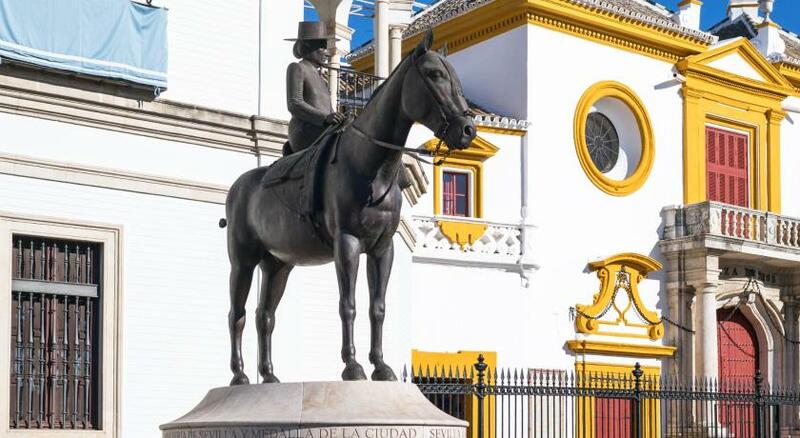 Sevilla's Bus Station, located in Plaza de Armas Square, is 1,800 feet away. 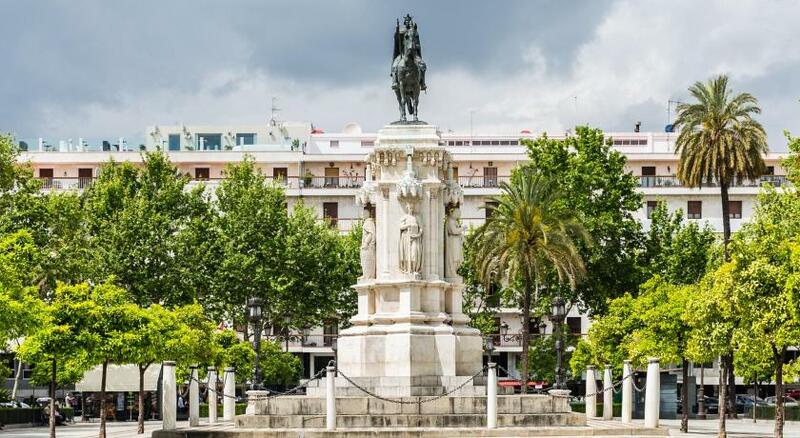 뀐 Located in the real heart of Seville, this property has an excellent location score of 9.4! When would you like to stay at La Flamenka Hostel? House Rules La Flamenka Hostel takes special requests – add in the next step! La Flamenka Hostel accepts these cards and reserves the right to temporarily hold an amount prior to arrival. I was surprised how sloppy with water the other guests were at the bathroom sinks. I finally realized the towel sitting on the ledge could be used to wipe the water off. It would be nice to explain that. I thought it was another guest's towel. The bedroom needs more ventilation, room for 5 had a very small window only. We were walking distance from everywhere in Sevilla. The rooftop terrace is huge and next to the kitchen to prepare the meals. Kitchen well equipped. Friendly staff. Triple room was too small, shower doors don’t lock, bedding wasn’t clean, would be great if there was a locked storage room. Very noisy, inside the hostel, as well as outside on the street. Don't book if your idea is to get some rest, definitely book if you came to party. Rooftop bar is awesome, bathrooms are very cute, location is perfect. It was quite far from some tourist attractions such as the plaza de espana (about a 30 minute walk) which may be an issue for some people but we found it fine! This hostel is a gem, the staff were so welcoming and kind and the rooms were spotless! The hostel is really cute and quirky with great amenities and facilities. 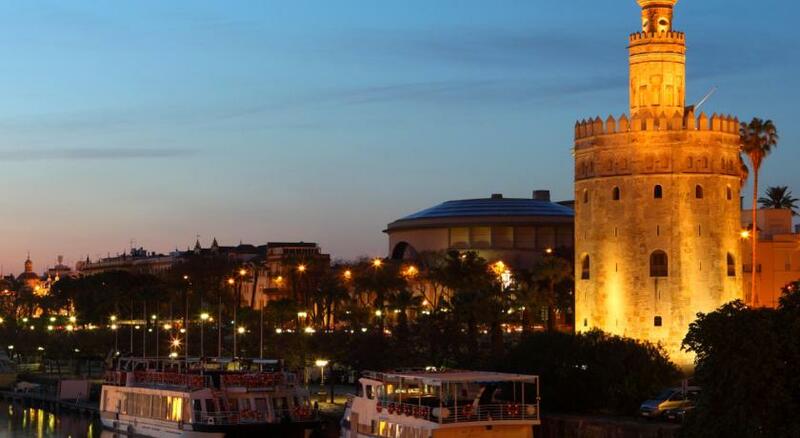 It's really close to the historic town of Seville and has some great restaurants nearby. It's about a 10 minute walk from the main Cathedral and the town centre which is great! The beds were also unbelievably comfy! There wasn't enough lightning for indivudual bed, only the top bank had light. Very central, close to all the amenities. Everything was within a walking distance from the hostel. The kitchen was big and great place to meet new people. Bad shower and the bed was very small. This is a hidden gem. I booked this very last minute as an Airbnb I was originally in fell through. I wished I had stayed here for longer. I had one of the twin bunk bed rooms. Very comfy beds and pillows! Lovely touches to make it feel more homely. Excellent location, very close to the main bus station. Everyone is so lovely who I spoke to and very accommodating that it made my stressful day all the better. Next time I return to Seville I hope to stay here again!